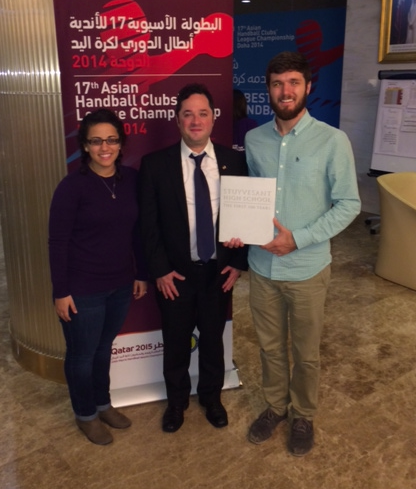 Current Stuyvesant High School Social Studies teacher, Michael Waxman, travelled to Bahrain and Qatar over Thanksgiving on an educational exchange. He was acting as the representative from Stuyvesant for the United Federation of Teachers. Mr. Waxman, well-equipped with Stuyvesant memorabilia and stories of the school, acted as an ambassador for Stuyvesant when he met with several important dignitaries and educators. 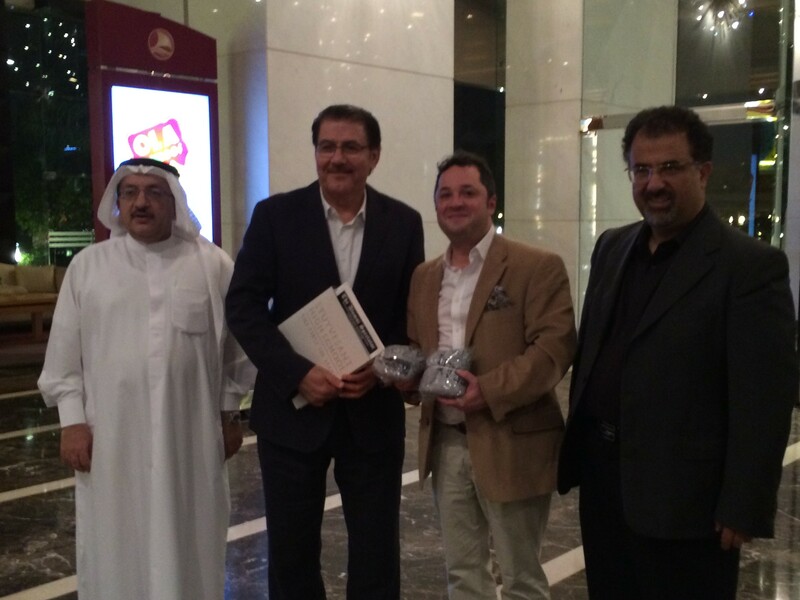 Mr. Waxman (center) with US-Arab Bilateral Chamber of Commerce Officials and the Stuyvesant Centennial Book, "Stuyvesant High School: The First One Hundred Years." 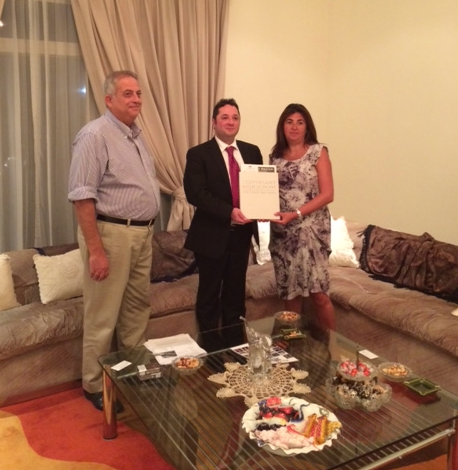 Mr. Waxman (center) with former Bahraini Ambassador to the US, Houda Nonoo (right) and her husband. Nonoo was the third woman and first Jewish person ever appointed to the post. 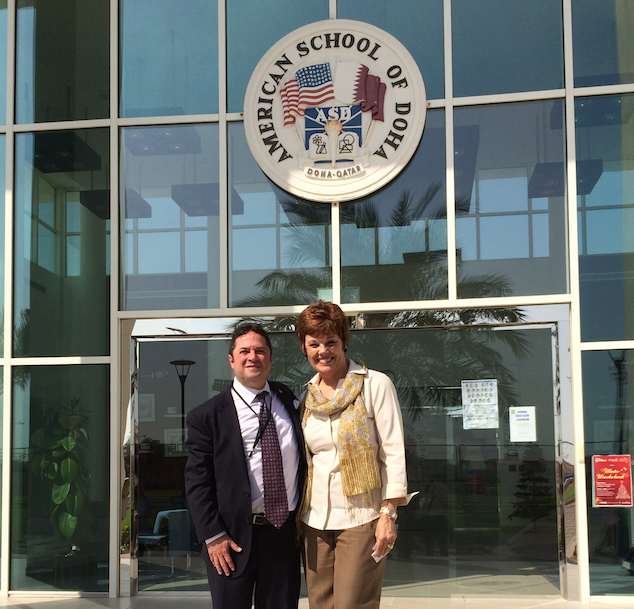 Mr. Waxman (left), with Dr. Deborah Welch, Director of the American School of Doha in Qatar. 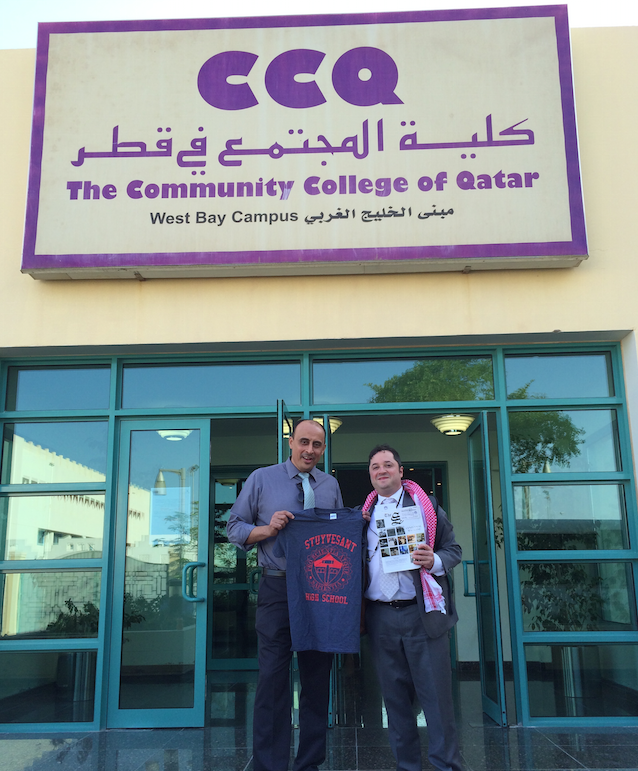 Mr. Waxman (right) presents Ali Mubarak, the COO of the Community College of Qatar, with a Stuyvesant t-shirt and the Centennial edition of the Spectator. 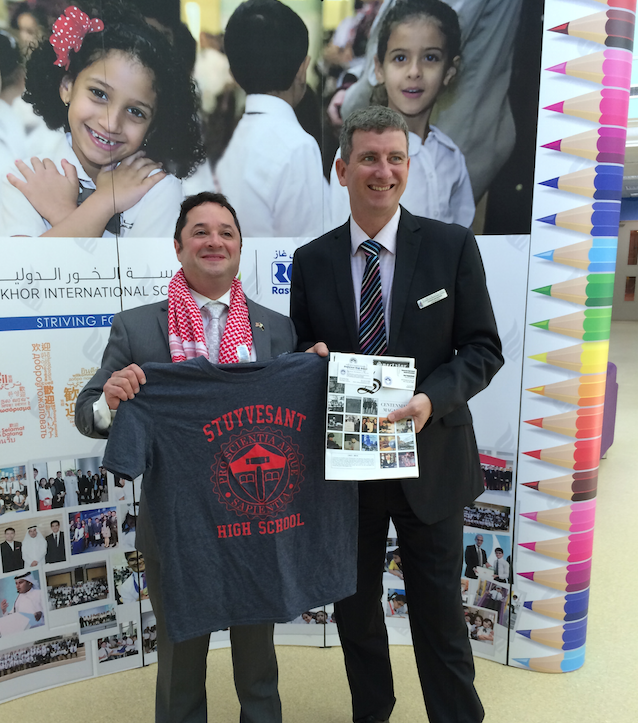 Mr. Waxman (left) presents Gerard MacMahon, the Headmaster of the Al-Khor International School, with a Stuyvesant t-shirt and the Centennial edition of the Spectator.